Ankle boots are to autumn as swimsuits are to summer—an absolute necessity. This season, however, we want you to forget all about your typical black suede boots (temporarily, at least) to make room for something much more striking. Metallic ankle boots are quickly becoming one of the biggest trends for autumn, which, for shoes so bold, sort of surprises us. So, of course, we're here to convince you that this silvery and eye-catching shoe style is one that will go with more in your wardrobe than you may assume. For starters, we are all about fresh ways to liven up a pair of jeans and a T-shirt. The addition of metallic boots, in this case, is the perfect answer. This new boot trend also looks great when offset by more tailored pieces like cropped trousers and sleek blazers. Whichever way you choose to wear them, as proven by the street style elite, metallic boots will add that needed pizzazz to any fall outfit you have in mind. 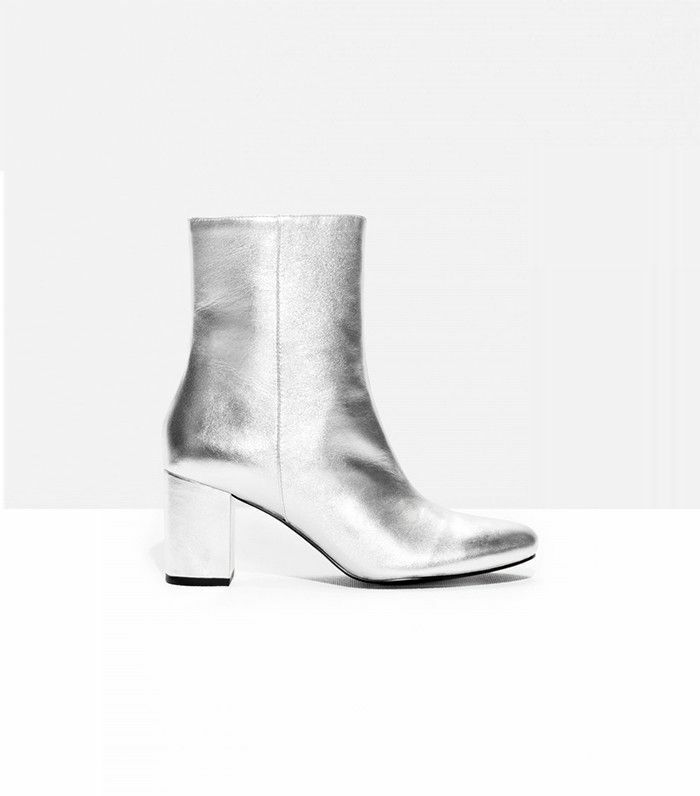 Keep reading to shop the best metallic ankle boots on the market right now. Want more? Here's how to ace your winter wardrobe look in six easy steps.